Welcome to Ken Shaw Toyota, your certified Toyota dealership in Toronto, Ontario. We are presenting the new 2018 Toyota Corolla. You can find all the relevant information below. Enjoy! With an exciting combination of design, technology, and standard advanced safety features of Toyota Safety Sense featured on all Corolla models – plus legendary dependability and efficiency – the Toyota Corolla is hard to resist. 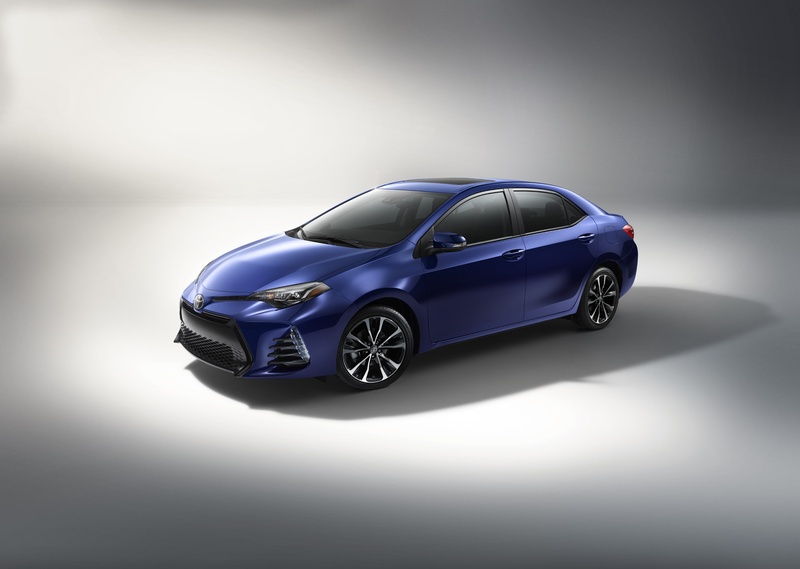 And Canadians will want one even more when they experience the all-new 2018 Toyota Corolla XLE – equipped with an extensive list of premium features as standard. 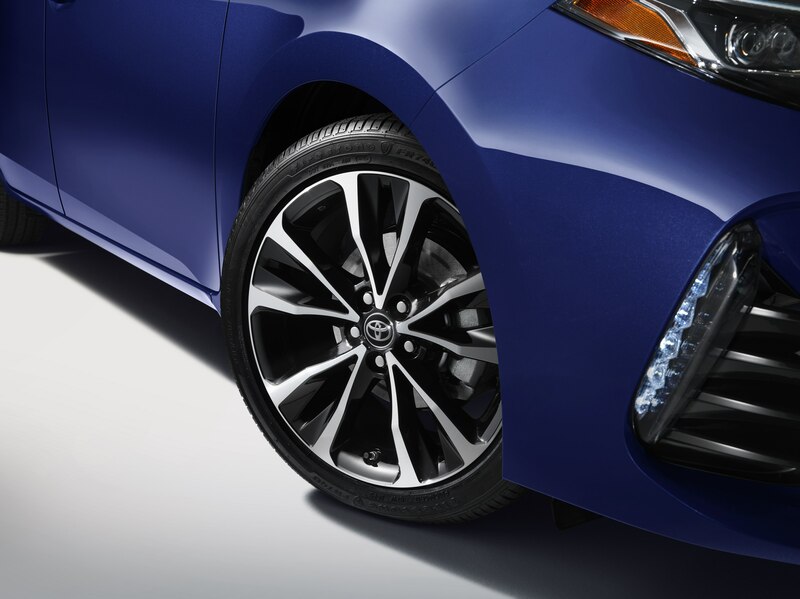 All 2018 Toyota Corollas feature modern, aerodynamic styling, with sleek front grille and bumper designs – plus premium appointments including LED headlamps and dual power adjustable, heated exterior mirrors as standard. 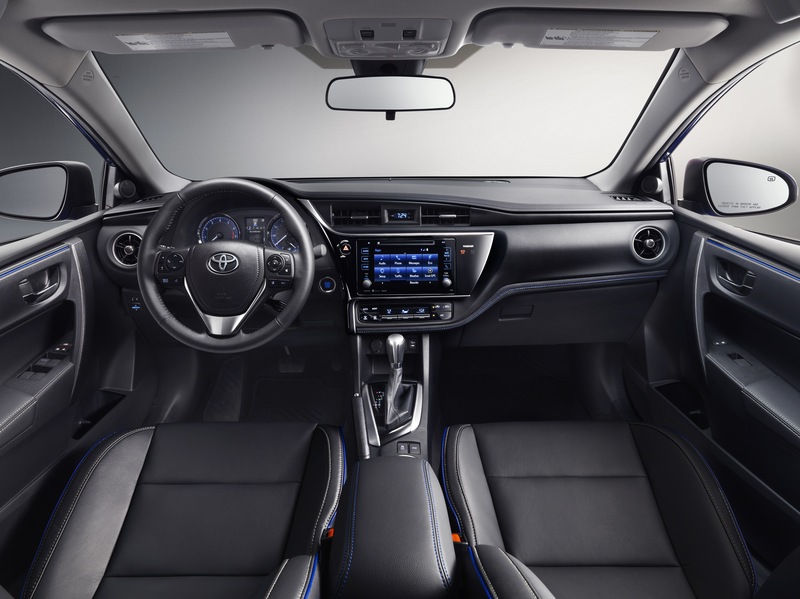 Inside, the Corolla offers a comfortable interior with room for five adults, plus a 60/40 split fold-down rear seat to maximize versatility for carrying cargo. All models include a Display Audio system with SIRI Eyes-Free, Bluetooth connectivity and steering wheel-mounted controls. Other standard features include power doors and windows, piano black centre cluster accents, map lamps, 12v power outlets for personal electronics, and more. Under the hood, the 1.8L four-cylinder engine delivers a peak 132 horsepower for plenty of driving fun. This is coupled to either a six-speed manual transmission or a continuously variable transmission with intelligent shift (CVTi-S), depending on model. 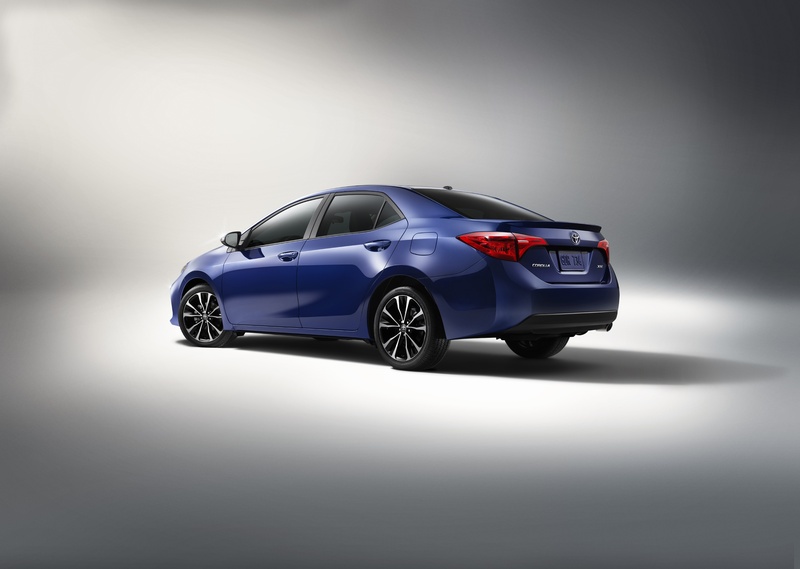 The 2018 Toyota Corolla is the compact sedan with full-size safety features, headlined by Toyota Safety Sense P. This bundle of active safety technologies – including the Pre-Collision System with Pedestrian Detection, Lane Departure Alert with Steering Assist, Automatic High Beams, and Dynamic Radar Cruise Control – enhances driver capabilities to mitigate collisions, stay in lane and see at night. 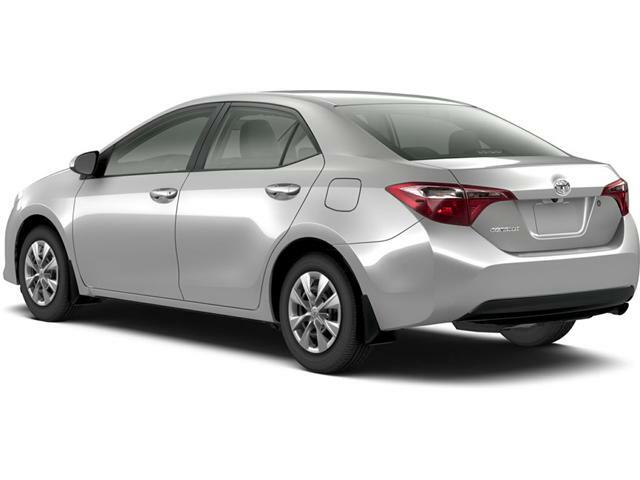 Other safety technologies standard on all 2018 Corolla models include the Toyota Star Safety System, eight air bags, a back-up camera, front seats with whiplash injury-lessening headrests, and more. The 2018 Toyota Corolla CE is offered with a choice of manual transmission (Starting MSRP: $16,790) or CVTi-S (Starting MSRP: $20,155). This model features fabric seats, an ECO Indicator, 15” steel wheels, intermittent wipers, LED Daytime Running Lights, and more. The CVT-equipped model is standard equipped with Air Conditioning. 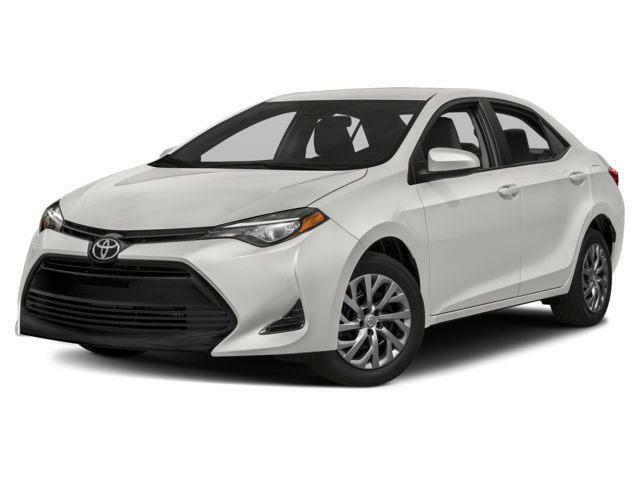 The 2018 Toyota Corolla LE (Starting MSRP: $20,990) is offered with the CVT. The LE builds on the CE model, adding heated front seats, premium fabric seat surfaces, auto air conditioning, fabric door trim, chrome inner door handles, soft touch console box lid, 16” steel wheels, a windshield wiper de-icer, and more. 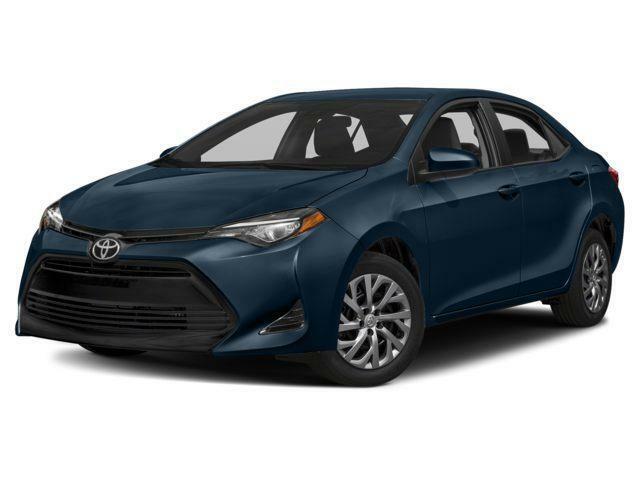 The 2018 Corolla LE with Upgrade Package (Starting MSRP: $22,490) adds a heated, leather-wrapped steering wheel, 16” aluminum alloy wheels, and power slide/tilt moon roof. 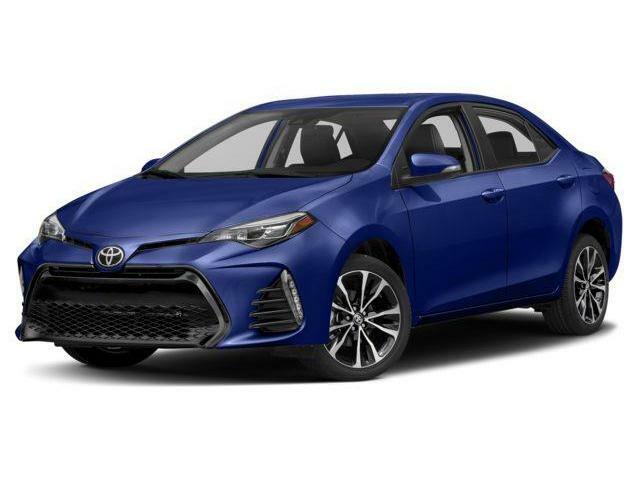 New for this model year, the 2018 Toyota Corolla XLE (Starting MSRP: $25,680) includes all the features of the Corolla LE with Upgrade Package, plus integrated Sirius XM Satellite Radio, a navigation system, eight-way power adjustable driver’s seat, Softex Leather seat surfaces, the Smart Key System and Push Button Start, auto-dimming rear view mirror with Homelink and compass, a tire pressure monitoring system, and more. The 2018 Toyota Corolla SE is offered with a choice of manual transmission (Starting MSRP: $20,805) or CVTi-S with sport mode, sequential shift mode, and paddle shifters (Starting MSRP: $21,790). This model includes auto air conditioning, heated front sport seats, sport fabric seat surfaces with leatherette trim, a 4.2” multi-information display, sport speedometer, piano black instrument panel trim accent, synthetic leather door trim, chrome inner door handles, leather-wrapped steering wheel, 16” steel wheels, exterior mirrors with integrated signal lamps, LED reverse lights, bumper-mounted LED daytime running lights, multi-LED headlamps, and more. 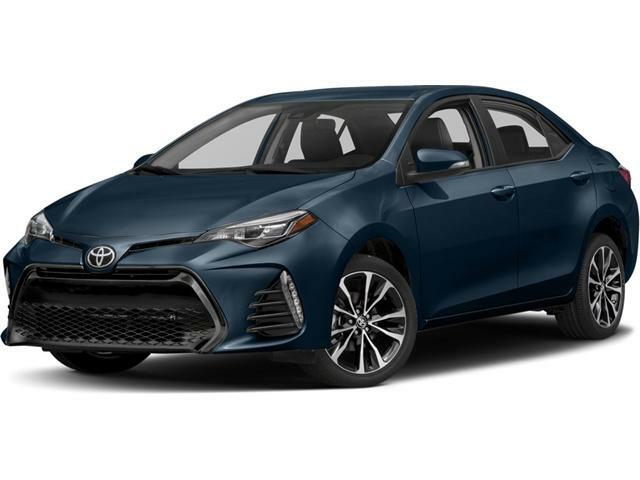 The 2018 Toyota Corolla SE with Upgrade Package is offered with a choice of manual transmission (Starting MSRP: $22,305) or CVTi-S with sport mode, sequential shift mode, and paddle shifters (Starting MSRP: $23,290). It adds a heated steering wheel, 17” aluminum alloy wheels, rear disc brakes, a power slide/tilt moon roof, and more. The 2018 Toyota Corolla XSE (Starting MSRP: $25,870) – available only as a CVTi-S equipped model – includes all the features of the Corolla SE with Upgrade Package, plus Integrated Sirius XM Satellite Radio, Navigation system with 7” display screen, eight-way power adjustable driver’s seat, Softex Leather seat surfaces, the Smart Key System and Push Button Start, Auto-dimming rear view mirror with homelink and compass, a tire pressure monitoring system, and more. 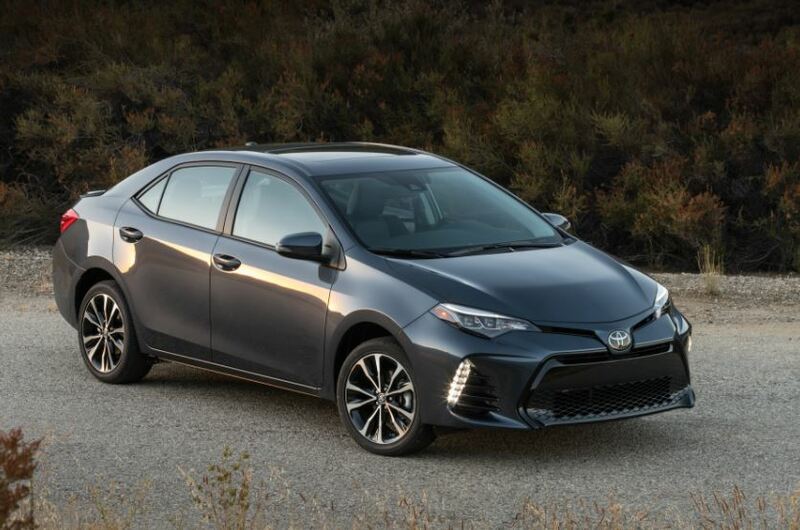 The 2018 Toyota Corolla LE ECO (Starting MSRP: $21,490) is offered with the CVT. This model features a VALVEMATIC 1.8L four-cylinder engine that produces 140 peak horsepower and even better fuel efficiency. This model includes heated front seats, premium fabric seat surfaces, auto air conditioning, fabric door trim, chrome inner door handles, soft touch console box lid, 15” steel wheels, a direct tire pressure monitoring system, rear lip spoiler, a windshield wiper de-icer, and more. Don't see what you're looking for? We have access to all Toyota Dealer's inventories across Canada and are able to locate the right vehicle for you within 24-48 hours of receiving your order. Contact us for more details. *Efforts have been made to ensure the accuracy of the information presented above, though pricing, equipment, or other details may change at any time without notice. For more information refer to Toyota Canada's website, or consult the vehicle's owner's manual.